If the Classroom Completion feature is enabled on your site, you will be able to view the current completion status for all the materials in your classrooms (Completed, In Progress, Not Successfully Completed, Not Shared). 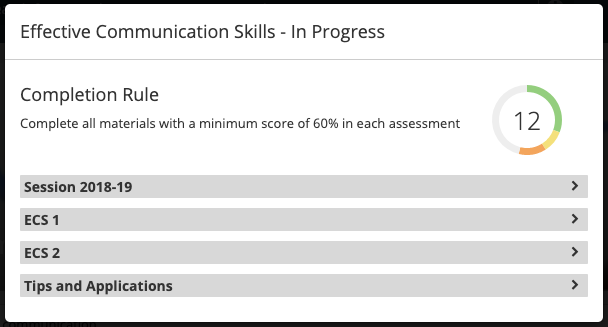 The course completion status block shows what you (as a learner) have done to complete/finish the classroom. 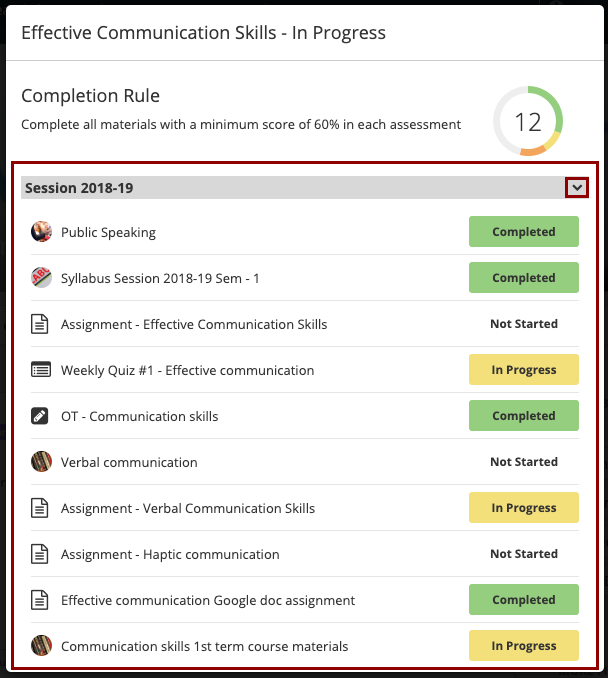 The classroom completion features works according to the specified criteria/rule and once you have completed all the materials as per the set criteria/rule, the classrooms will officially be marked as completed/finished. 1. Click the classroom name in which you wish to view/monitor your learning progress. 2. 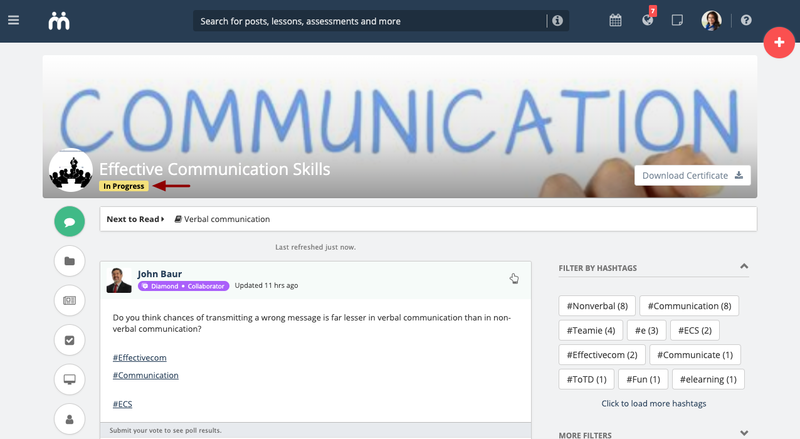 Click the completion status label on the classroom cover image to view your learning progress in that classroom. 3. The completion status popup will open. On top, the classroom name will be mentioned along with the current completion status (Completed, In Progress, Not Successfully Completed, Not Shared). You will also be able to see the completion rule set for the classroom. 4. All the materials will be listed in their respective sections along with their completion status. All the sections will be expanded by default. You can collapse them by using the sections' down arrows. 5. A donut chart will be present to show the data in a format that is much easier to interpret and read. The count for the total number of materials completed by you will be mentioned in the centre of the donut chart. 6. You can also hover over different statuses on the chart to view the count of material associated with that status.